Not as many people use CDs these days compared to when iTunes was first introduced, but from nearly its very beginning, there have been two CD-related features at the heart of what iTunes can do: ripping and burning. These terms are related to each other but they're really opposites. 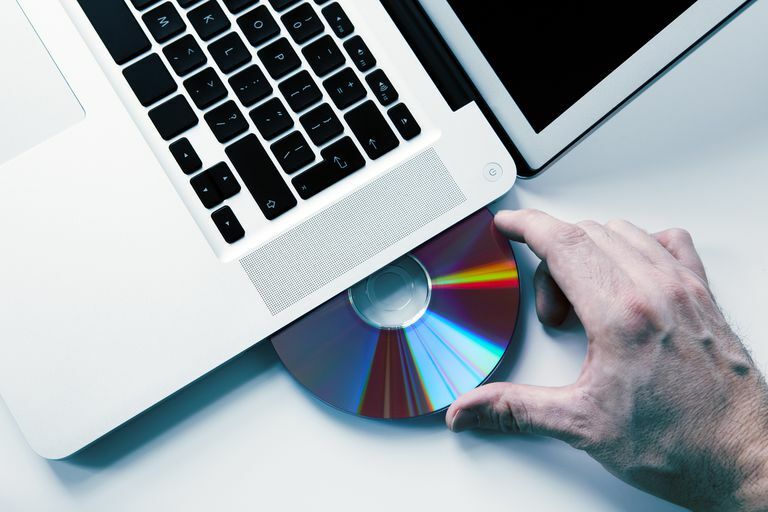 To "rip" a CD is to copy its contents from the disc to the computer, and "burn" means to copy files from the computer to the disc. This is the term used to describe the process of importing music from CDs onto a computer. So, to rip a CD to iTunes is to copy the music from the disc to the iTunes program so that you can listen to the songs on your computer without needing the CD. You might rip a CD to legally make a backup of the disc, a wise decision to ensure that you'll always have access to the disc's contents even if it gets scratched and stops working. However, even if the CD is scratched, you can still try ripping it with iTunes. You can rip DVDs, too, like to back up a home video to your computer. There are lots of DVD ripping programs you can use for free. Songs are stored on CDs as high-quality, uncompressed files to deliver the best possible sound quality. Songs in this format take up a lot of storage space, which is why most CDs only have 70-80 minutes of music (or 600-700 MB of data) on them. Storing a big music collection with files that large on a computer, iPhone, or iPod wouldn't be practical. As a result, when users rip CDs, they convert the files to lower-quality versions. Songs on CDs are generally converted to the MP3 or AAC audio formats when ripped. These formats create smaller files that have a slightly lower-quality sound. The tradeoff is that they take up only about 10 percent of the size of a CD-quality file. That is to say, a song on a CD that takes up 100 MB would result in a roughly 10 MB MP3 or AAC file. That's why it's possible to easily store hundreds or thousands of CDs on an iPhone or iPod, and why MP3 CDs are common. Some CDs use digital rights management, or DRM, which can prevent them from being ripped. This is designed to stop the contents of the CD from being pirated or shared online. This practice is less common today than it was in the early days of MP3s and MP3 players. Burning is the term used to describe creating your own CD or DVD using your computer, specifically the disc burning capabilities of the optical disk drive. Copying songs from iTunes to a disc is considered burning the iTunes music to the CD (and the same goes for burning other items like ISO files or movies). Burning allows you to create not only your own music CD but also a data disc, a CD of photos, or a movie. While there are many programs used to burn discs, iTunes has burning features built-in. To create a mix that contains songs from a number of different CDs, you'd create the playlist for this CD in iTunes and then insert a disc with enough room to burn the playlist.